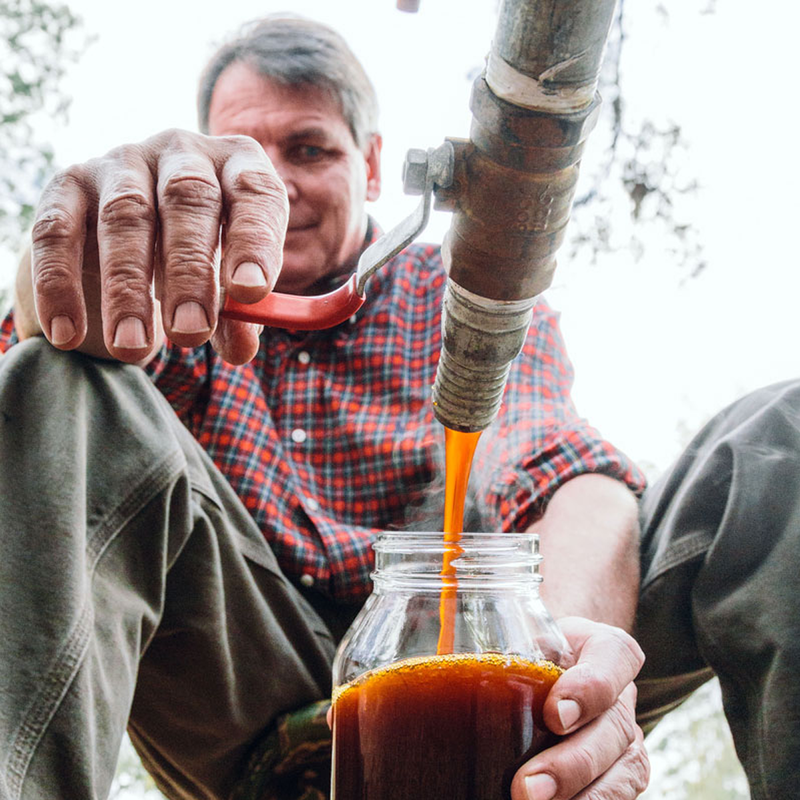 For Jimmy Hagood, Food for the Southern Soul™ isn’t just the name of his specialty food and catering business; it is his way of life. Following his passion, Hagood has made an indelible mark on the Lowcountry food scene. As a barbecue impresario and an advocate of coastal South Carolina’s unique culinary culture, he has brought national visibility to the art of barbecue cooking, and further elevated high-quality Southern pantry items. Slow cooking began as a hobby for Hagood. An insurance advisor, he spent weekends basting pork shoulders infused with his special marinades and taste testing recipes. In March of 2002, Hagood took his food focus full-time. He traded his briefcase for a 27ft long barbecue rig to launch his catering, specialty foods, and restaurant businesses. Under Food for the Southern Soul™, Hagood has combined all his talents in producing and distributing his Blackjack Barbecue and Charleston Favorites product lines. From shrimp sauce and dry rubs to stone-ground grits, Charleston Gold Rice and artichoke relish, Hagood is keeping the tradition of soulful southern food alive in the Charleston City Market, in national retail outlets and online.